The Travel Massive Melbourne event Ladies That Travel has been rescheduled to the 15 November. The event will feature some lovely speakers who will be talking about what it is like to be an adventure traveling lady. Highlighting that travelling and being a woman isn't all about big hats, pink floral shirts, and tiny skirts - it's all about the thrills, spills, coffee, and champagne chills. The event is open to all people and those that attend as a valuable Travel Massive Melbourne guest will receive a VIP goodies bag. 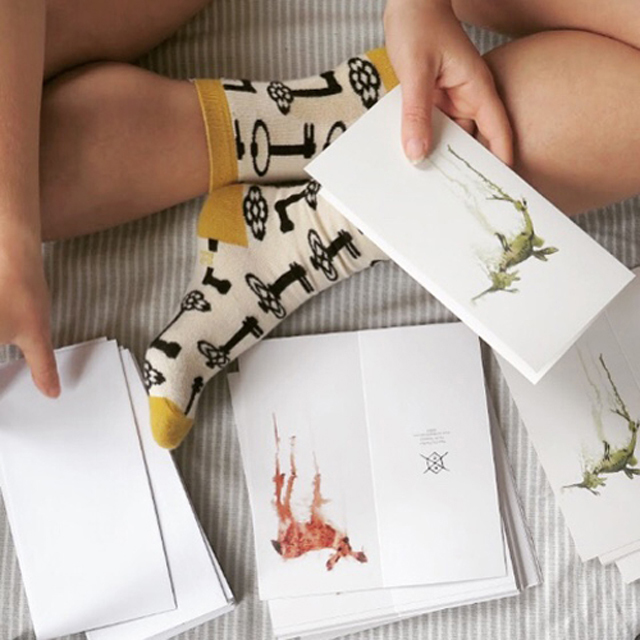 Each bag will contain one of my cards featuring either my deer or weedy sea dragon drip watercolour works, and you'll also have the chance to win one of my original artworks. For more details about the event and other Travel Massive Melbourne activities please visit www.travelmassive.com/chapters/melbourne. I am so happy for you, you definitely deserved the opportunity because you are a hard worker. keep making yourself proud because you are doing great. keep posting.